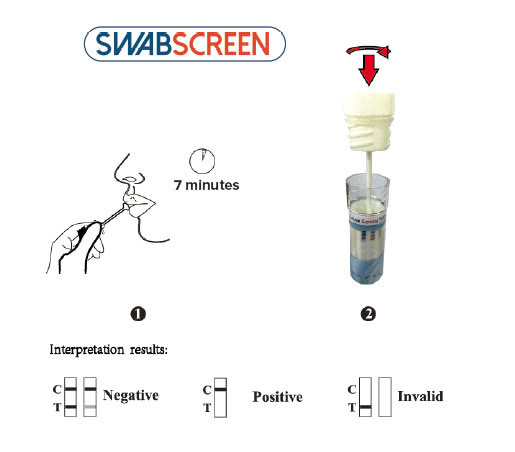 SwabScreen’s 10 Panel Oral Test is simple to use and read. With its 10 panel design, it can replace the different tests you used to have to buy to cover different drugs of abuse. This saliva drug test requires little monitoring, and is extremely hard to adulterate. Just a small saliva sample, offers a world of insight with this high quality test. We have this product in stock so order and get your devices sooner! As an additional bonus, if you would like to confirm a negative result, you can send in to a lab for a more details analysis..